Providing the World with healthy drinking water systems for over 30 years! 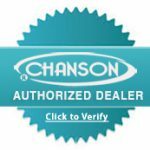 Chanson has over 30 years of healthy water filtration systems experience and over 15 years of alkaline water ionizers experience in the world, leading the market with over 38% market share. Chanson is dedicated to research and development, creating, manufacturing, and assembling alkaline water ionizers that produce clean and safe drinking water for everyone that is conscious about the water they put in their bodies. Chanson has many patents in the alkaline water ionizers market and we continually strive to bring the latest alkaline water ionizers technology to you. Chanson products are manufactured in an ISO 9001 Quality Management Systems Certified facility, ensuring the highest regard to consumer safety and quality are incorporated into every product sold to you. 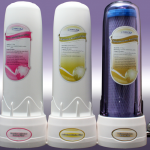 When you purchase Chanson Products from Alkaline Water Ionizers, you are backed by Chanson Canada policies and warranties. We look forward to answering any of your questions and ensuring you receive high quality service and products for years to come. Alkaline Water is simply water with a pH higher than 7 on a pH scale of 0 – 14, where a pH less than 7 is acidic, pH 7 is neutral, and a pH above 7 is alkaline. To understand what pH is, you must learn a little chemistry!! Good news, I will explain pH to you in very simple terms: pH is simply a measure of how acidic or alkaline a solution is. More specifically for our purposes, we use pH as a measure of how acidic or alkaline your drinking water is. Water can be made alkaline through the use of chemicals, or minerals, or in our case, through Chanson Alkaline Water Ionizers that use electrolysis to produce fresh ionized alkaline water on demand in your kitchen for your drinking pleasure and benefits. Your home water source is typically treated at your local water treatment facility with chlorine and fluoride in order to kill off any would be bacteria and parasites present in the water source. Aside from chlorine and fluoride, there are also other contaminants in your water source like heavy metals and pesticides that aren’t necessarily filtered out at your local water treatment facility. 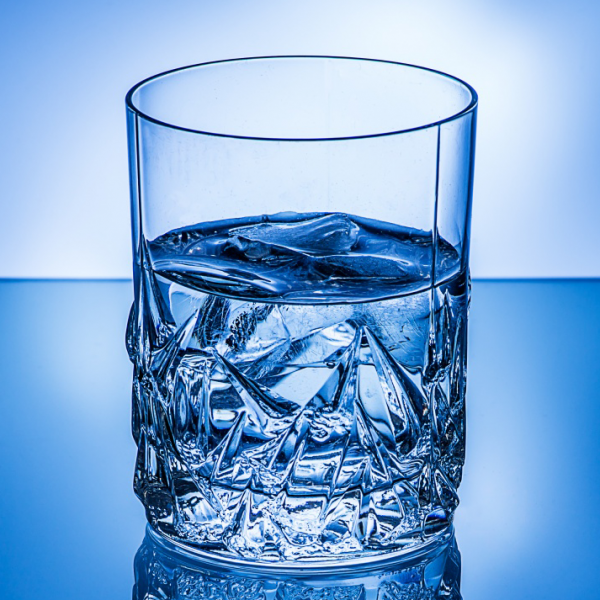 You can usually smell the chlorine – smells like bleach – when drinking your tap water out of a glass or even when rinsing your mouth after brushing your teeth. Would you like to drink your home tap water without smelling chlorine bleach? Would you also like to have your home tap drinking water filtered free of fluoride, lead, arsenic, sulfur, pesticides, and other harmful chemicals? If you answered ‘yes’ to the above questions, then Chanson’s Home Drinking Water Filtration Systems are your simple solution. 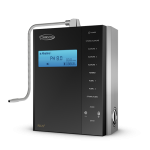 When choosing your Chanson alkaline water ionizer, you have the option to choose between several countertop units, and an under countertop unit. 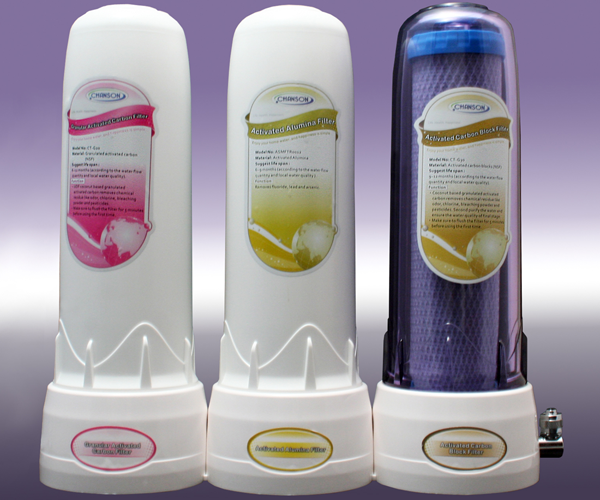 Chanson countertop alkaline water ionizers come in various models, depending on your budget, space, and needs. Regardless of the countertop alkaline water ionizer you choose, they usually occupy space around your sink and need to have a hose connection to your standard sink faucet. If you have a non-standard faucet, then you need to consider a different option for providing water to your ionizer. A benefit in purchasing a countertop alkaline water ionizer is that you have the flexibility to take the unit with you if you move to a different location without having to repair any holes in the countertop that are essential for under countertop alkaline water ionizers. We are happy to discuss your options with you. Produce fresh ionized alkaline water on demand in your own kitchen and keep your countertop free of bulky appliances by considering Chanson’s Under Countertop Alkaline Water Ionizers. The Chanson under countertop alkaline water ionizer sits neatly in the cupboard below your sink and sends fresh ionized alkaline water to its own separate faucet through a dedicated hole in your countertop. 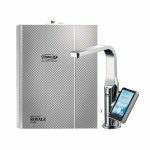 The Chanson under countertop alkaline water ionizer faucet is unique with a touch pad that allows you to choose the level of water alkalinity that you want. It is important to note that alkaline water ionizers require a standard 110 volt receptacle in close proximity to it under countertop and that a drain line must be connected to your sink’s drain piping. 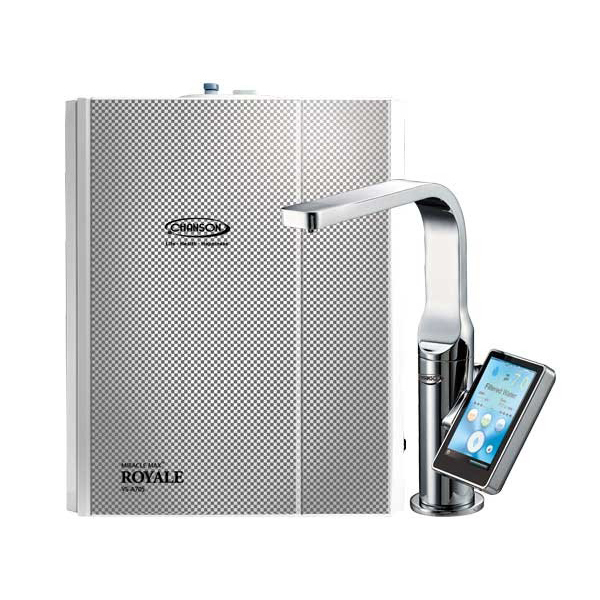 We recommend hiring a professional electrician and plumber to install your alkaline water ionizer if you don’t have the proper configuration set up under your sink. We are happy to discuss your options and set up with you. 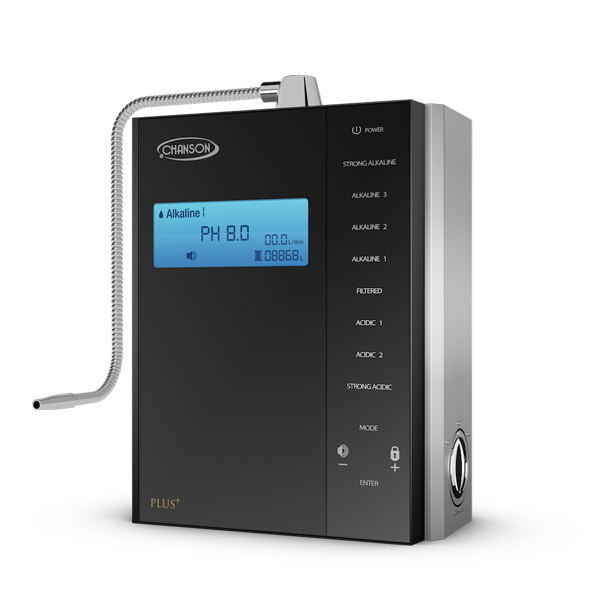 Have Questions About Chanson Alkaline Water Ionizers?